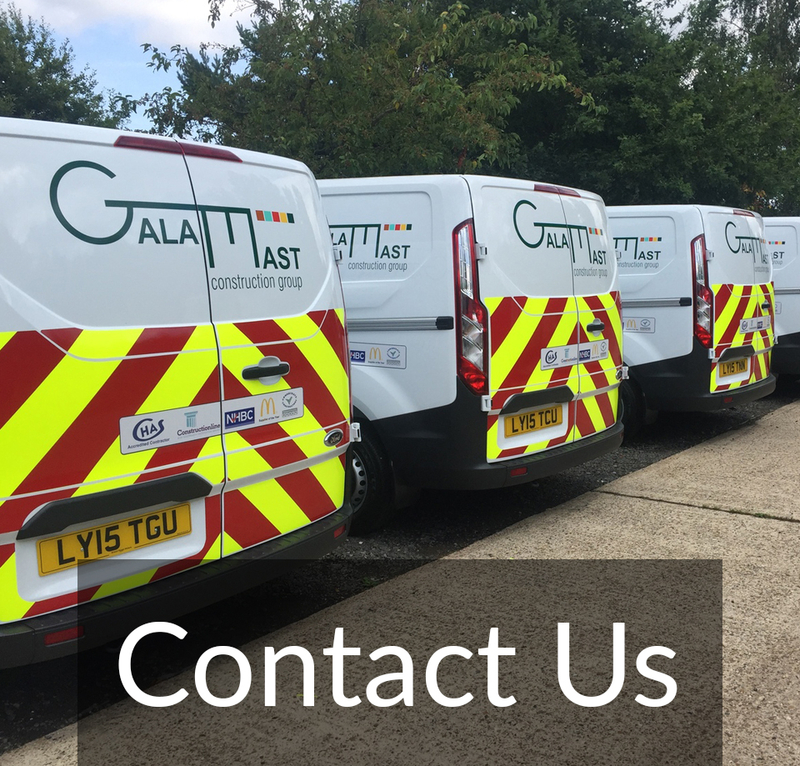 Galamast have recently completed the construction of a new 24000sqft state of the art sports facility with trapezoidal roof that houses a gymnasium, acoustic dance floor and a main sports hall that accommodates activities ranging from basketball to roller-skating (fully DDA compliant). Externally the project boasts a 95m x 51m sport England 3G dynamic football pitch that is fully floodlit along with parking for over 100 cars. The turn key project which involved a complex variety of specialist trades and programming is testimony to our ability to take on any project and deliver on schedule and to the highest specifications. Major office refurbishments have also been undertaken for McDonald's Restaurants which have included all elements of computer flooring, new kitchen installs and the complete replacement of all external glazing.